This week my first ever Wildest Dreams box arrived. 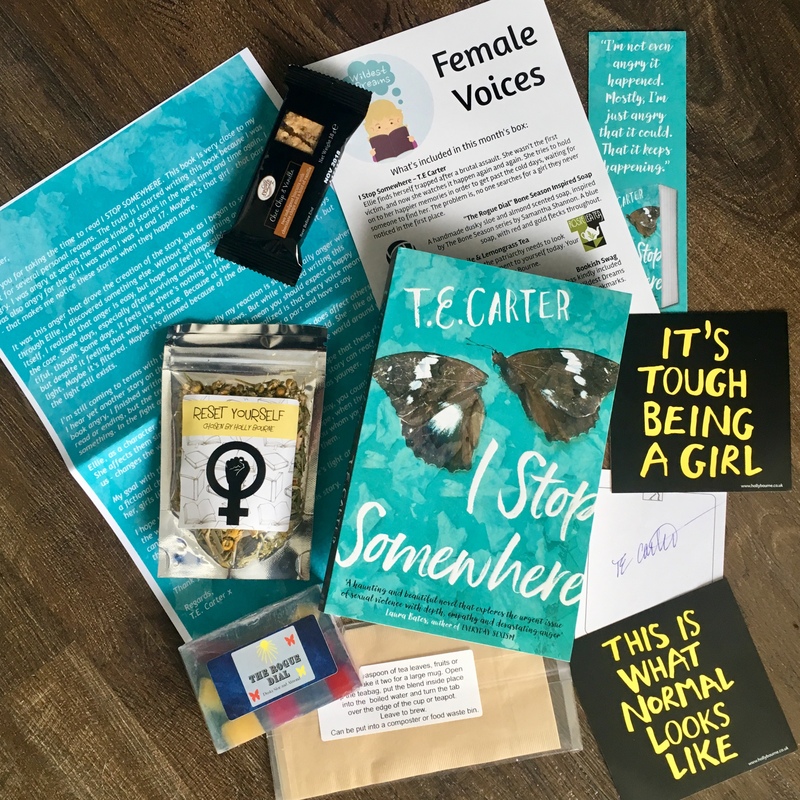 Wildest Dreams is a UK based book subscription box that aims to be a more affordable option. Starting at £18 a month, the box contains a book, tea, a bath/body product and maybe a few extra little bits too. Each month there is a theme and this month’s theme was Female Voices. I’d been meaning to give Wildest Dreams a go and this theme caught my attention. Without further ado, here’s what was in this month’s box. I really liked how everything was packaged. Everything came in a smaller box compared to the other subscription boxes I’ve tried, but that didn’t stop it being all neatly presented. The contents was wrapped in tissue paper and the book itself was wrapped in brown paper – giving it that extra little bit of protection and making it more fun to open. The first thing I saw was the tea. The tea is called Reset Yourself, it’s chamomile and lemongrass and is made by Rosie Lea Tea. It also came with disposable teabags which is always helpful as so often when you receive loose leaf tea in a subscription box, you don’t have anything to actually make it in if you don’t possess your own tea strainer. This tea was chosen by author Holly Bourne which is pretty cool. The bath/body product included in this months box was Bone Season inspired soap. It’s a handmade dusky sole and almond soap, it’s blue, yellow and red, and it smells like sweets! I’ve honestly been sniffing it a lot as I’ve been writing this post like a right weirdo. The soap was made by the Glasgow Soap Company. The book included was I Stop Somewhere by T.E. Carter. First of all I love the cover, it’s such a beautiful colour and image of a broken moth (or it could be a butterfly) is striking, and second of all, it’s a book I’d never heard of before. Reading the blurb, it sounds like a hard-hitting but important contemporary YA book. It’s about Ellie, who just wanted to blend in, but that’s until popular Caleb tells her she’s beautiful and makes her believe it. Ellie’s not sure if she actually likes Caleb because the way he treats her, showing her with love one minute then ignoring her the next, his possessive tendencies and harsh tone. Then one-night Ellie learns what kind of monster her boyfriend really is. She’s not the first girl Caleb rapes, but she as the first she murdered. Now Ellie’s trapped, unable to move on, and stuck watching Caleb do the same thing other girls. Ellie’s powerless and alone, and she just hopes that someone can help her. I’m especially interested to see how the story presents Ellie being dead but still present, seeing Caleb’s actions. I think I Stop Somewhere has the potential to be a really sad story but I would like it to also offer a sense of hope to Ellie and the reader. 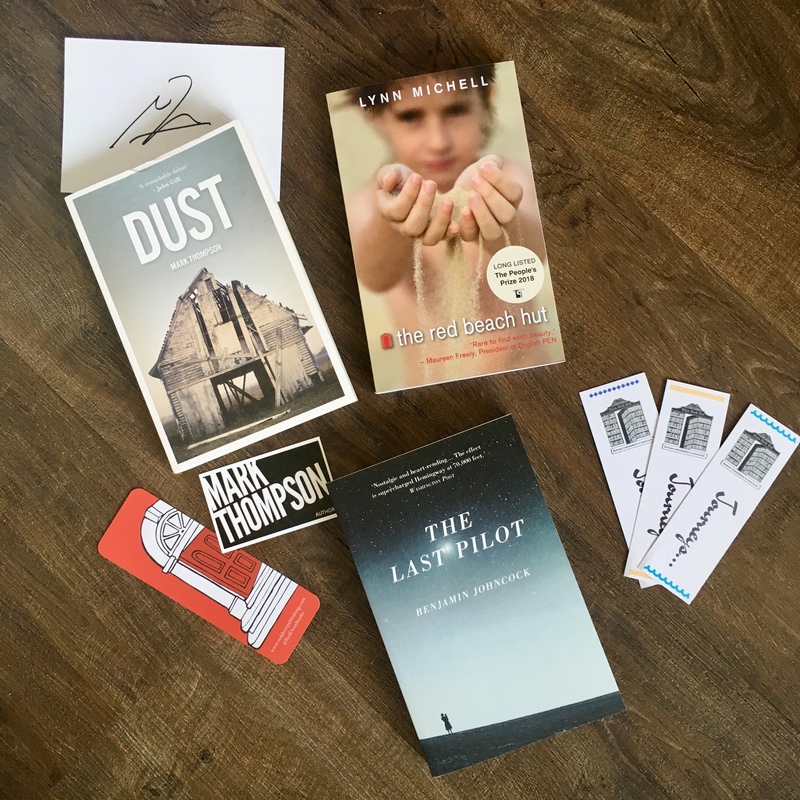 In this box there were also a couple of Holly Bourne-related stickers, some chocolate chip and vanilla biscuits (which I’ve already eaten, and they were very tasty), a bookmark, a letter from the author and signed bookplate. I really liked the Wildest Dreams Book Box. It’s a simple but well put together subscription box. As someone who enjoys all the goodies you get in subscription boxes but very rarely uses them all, I think this box is great as the soap is something I will definitely use and, if I don’t like the tea, my friends at work love tea so it can find a good home with them. 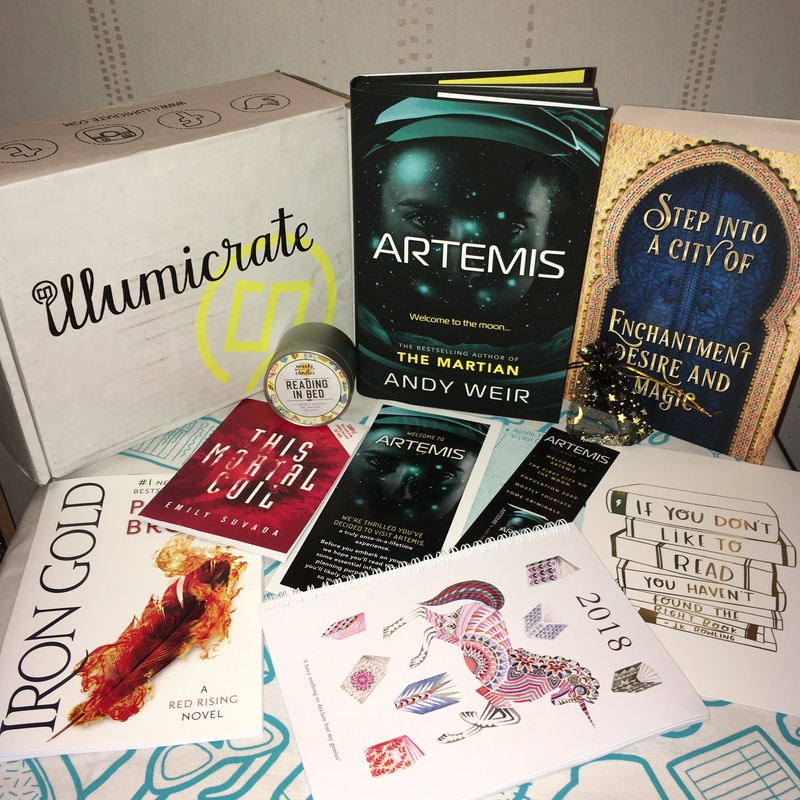 I don’t think I’ll be getting the Wildest Dreams Book Box every month, as while it definitely one of the cheaper subscription boxes, I don’t really have the money to pay for a subscription box every month – plus, I want to make a dent in my large TBR pile before I regularly get subscription boxes again. Wildest Dreams’ June theme is Love YA and it’s always a good idea to follow their Twitter as they often give out discount codes to make the box even cheaper! They’re awesome like that. This months Illumicrate box arrived this weekend and I when I opened it I was so pumped! But first things first, let me do the usual spiel at the start of a subscription box unboxing. 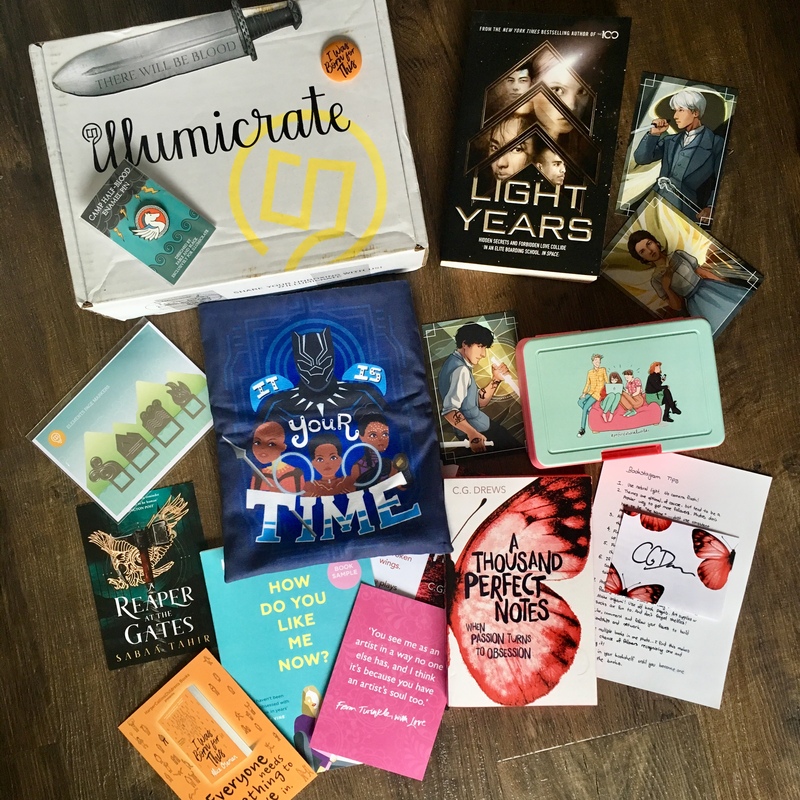 Illumicrate is a quarterly UK based YA subscription box that unlike some subscription boxes doesn’t have a theme each time so you can get a real eclectic mix of goodies in the box each time. It costs £29.99 per box, with free shipping to the UK, it ships internationally but it does have a shipping cost that varies depending where in the world it’s travelling to. There’s always at least one book (though the last few boxes have included an ARC) and 4-6 goodies. Now onto the box! 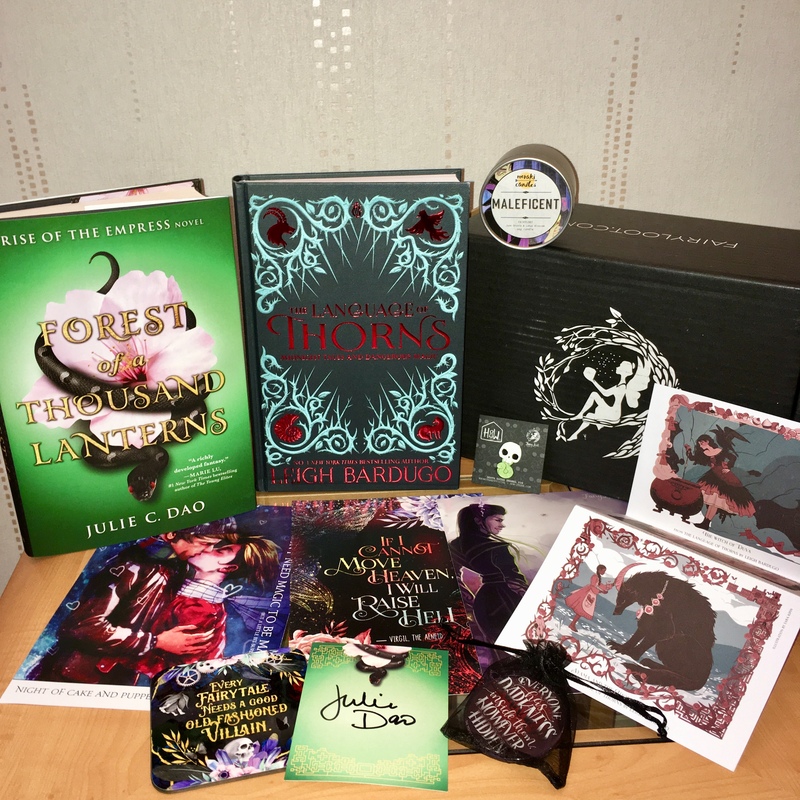 I loved everything in this box – the goodies and the books(s) are all great and just the sort of thing I will actually use/appreciate. First the goodies – and all but two of these things were Illumicrate exclusives. The first thing I saw was a bookish tea towel designed by Evannave Illustration which is lovely, and I will be taking it with me when I move to a new place in a couple of weeks. Then there was a print with a quote from J.K. Rowling from Nutmeg and Arlo and a moon and stars necklace from Oh Panda Eyes, which I’ve given to a friend because I knew she’d love it. There was a candle from Meraki Candles called Reading in Bed and it smells of hot chocolate and is a pale yellow with pink glitter on it and it smells divine. There was a 2018 Unicorn Journal from Prism Of Starlings which I will definitely be using. It’s a week per page (just how I like my diaries) and what’s really cool is it not only has the usual holidays already printed on the right day, but it also has various authors birthdays printed in it which is a nice touch for a book lover. There were also two samplers on for This Mortal Coil by Emily Suvada and one for Iron Gold by Pierce Brown. Now onto the books. The first book I saw was an advanced reader copy of The City of Brass by S.A. Chakraborty. I’d seen this book a bit over Twitter recently and I like how it’s set in eighteenth century Cairo and has magic and spirits. I’m looking forward to reading it even if it’s a big chunk of a book! Now the other book got me seriously excited! It’s Artemis by Andy Weir! I adored The Martian so much and I’ve been looking forward to Artemis a lot but because I don’t pre-order books I hadn’t realised it was now out. This copy is an exclusive Illumicrate edition with black sprayed edges and it also came with a bookmark and a travel brochure which I thought was a very nice touch. I honestly can’t wait to read Artemis and it’ll probably be my next read. I really love everything in this quarters Illumicrate box and I definitely think it’s worth the price tag. I may have to cancel my subscription as I’m moving to a flat and while I know there’s post boxes for each flat, I’m not sure what happens to parcels – but I have three months to figure that out. This week I decided to treat myself after I heard about The Book Matchmaker on The Owl on the Bookshelf‘s gift guide for bookworms. The Book Matchmaker is a company that offers customers a mystery or blind date with a book. The way they do this is wrapping their books and only giving you a couple of clues before you decide to make a purchase. The clues can either be four words that are to do with the book, or is just the books genre. I thought this was a great way to find a book I may not normally pick up. So, the date I decided to go for a Choose 4 Words Book Date. 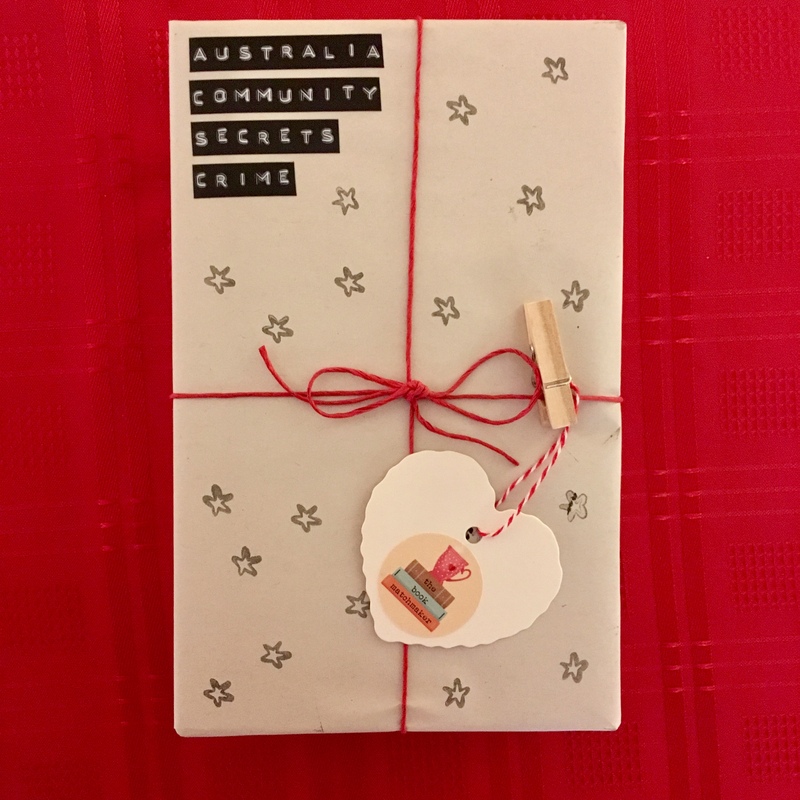 There’s lots of different books to choose from but the one I went for was the one with the words; Australia, Community, Secrets and Crime. My thoughts were that it must be a crime story and possibly either by an Australian author or set in Australia. I do like crime fiction but don’t read it regularly in case it becomes a bit repetitive, so I thought there was a good chance I wouldn’t have read it and if it turned out to be by an Australian author it could go towards my Read the World Project. I was very impressed with how quick my Book Blind Date arrived, it dropped through my letter box just three days after I ordered it. I was also impressed with how it was wrapped – it looked lovely and very professional. 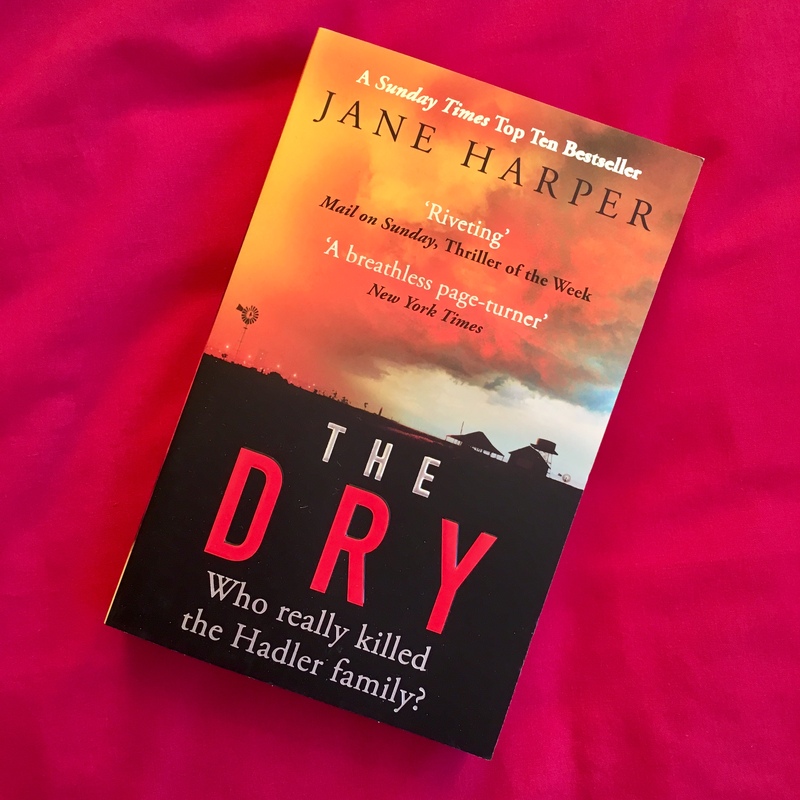 My book date turned out to be The Dry by Jane Harper. It’s a book I hadn’t heard about before but having read the blurb it’s definitely a book I’m looking forward to reading. The book also came with some hot chocolate! That’s another nice thing about this service, it lets you choose between tea, coffee, herbal tea and hot chocolate so you can have a hot drink as you enjoy your book date. 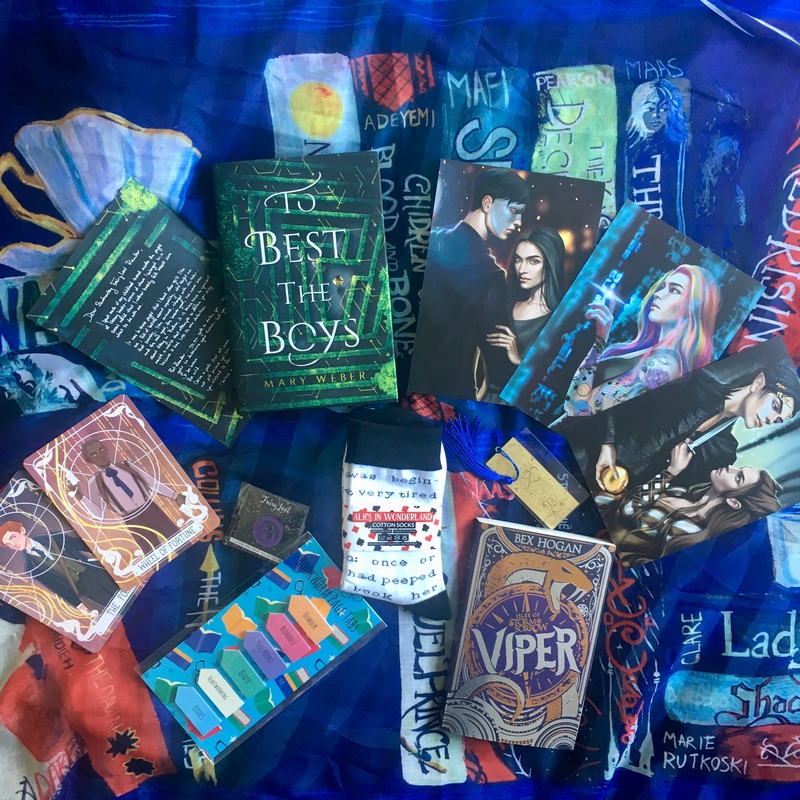 As well as the 4 Words and Genre Book Dates, where you receive just the book and a hot drink, they also have Book Date Gift Boxes which include a book, mug, hot drink, an edible treat and a bookmark. I think The Book Matchmaker is a great way to take a risk with what you read. I’m looking forward to reading The Dry and I will probably be making a purchase through The Book Matchmaker when I want a surprise book again. Have you used The Book Matchmaker before? If so, what was your surprise book?